What CandidateZip Triggers and Actions are Supported? Parse Resume Basic - Convert resume to basic fields: name, email, phone, address, current employer, current job profile, skill keywords etc. Parse Job Description - Convert job description to normalized fields like job title, skills required, skills preferred, interview details, employer details. Parse Resume Standard - Convert resume to basic fields plus employment and education data sets. Parse Resume Detailed - Convert resume to all possible fields. 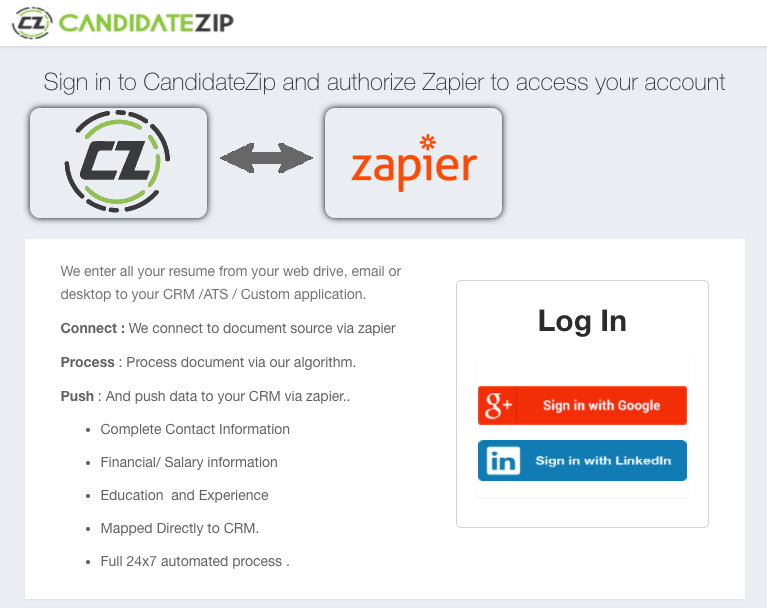 To get started with CandidateZip on Zapier, first you will need to click to connect your CandidateZip account to use with your Zap. 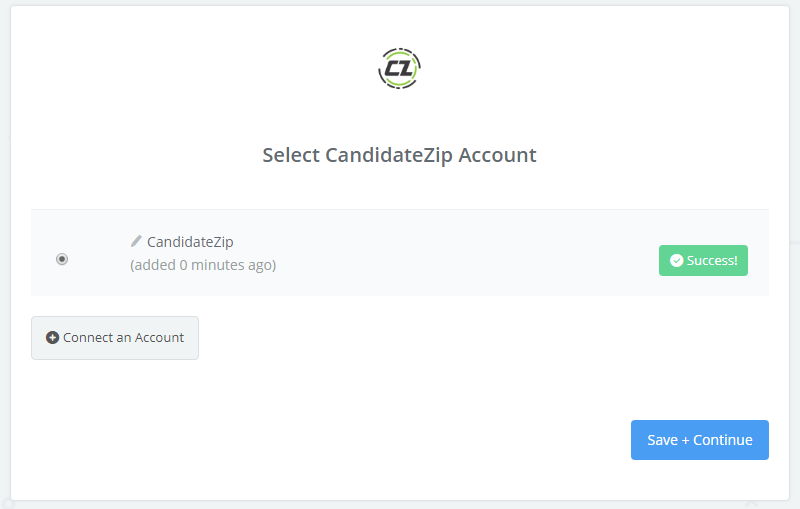 You’ll now be asked to log into your CandidateZip account (unless you are already logged in). 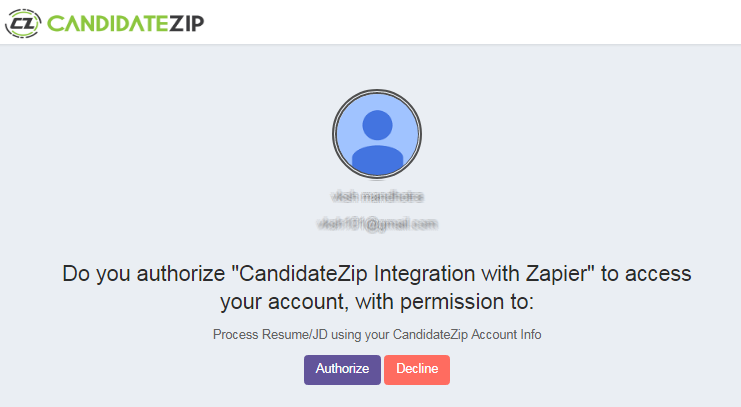 If all steps were successful your CandidateZip account will now be successfully connected.